Making stovetop espresso with a Bialetti. The Bialetti has a stylish, classic look, whether in your kitchen or at work. If you are to believe all the advertising, it takes a fancy espresso machine and a lot of money to make your own espresso at home. 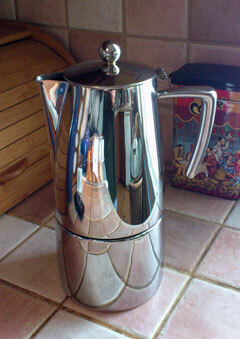 For years now I have been happily making my own espresso with a simple stovetop espresso maker, called a Bialetti. To make espresso, you unscrew the brewer at the center point. Then fill the lower vessel with water, drop in the filter basket and add fine-ground coffee, and then screw the top half back on. Once you are done, you pour the finished espresso from the top. As you can see from the photo at the bottom of the page, I put both the Bialetti and a pan of milk on the same burner. Neither are the same as a stovetop percolator, although their construction looks similar. With a stovetop espresso machine more pressure is built up in the water reservoir in the lower half. This provides the pressure necessary to make an espresso instead of a regular coffee. 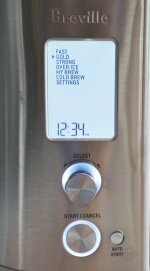 A larger, stainless steel stovetop espresso brewer. Fussy espresso drinkers may tell you that this isn’t real espresso, and that for the real thing you need a big, expensive machine. Technically they may be correct, but I am more than happy with my stovetop method. In addition to which, you could make the same argument about espresso that comes from single serve brewers like Nespresso, Tassimo and the new Keurig RIVO. They aren’t “real” espresso machines either. If you absolutely want the real thing, you can get yourself a genuine espresso machine. 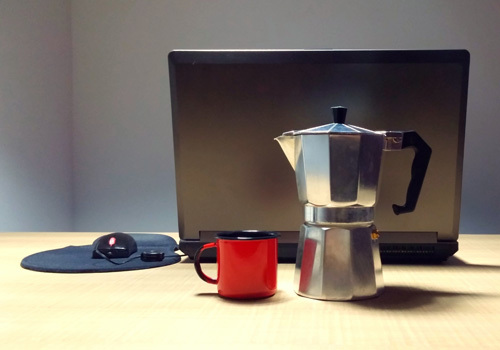 But if you are happy with what I find to be a perfectly good espresso style drink from your stovetop, a Bialetti or equivalent will do the job just fine. 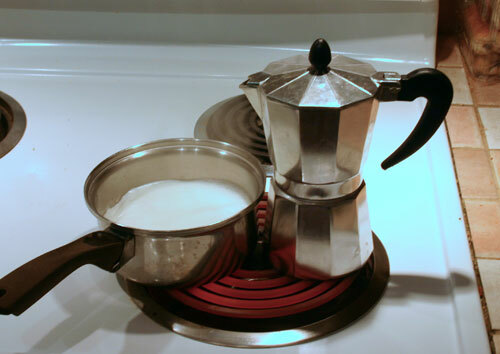 If you have a milk frother, you can also use your Bialetti to make a perfectly good latte or cappuccino. If you can’t find one locally, you can find Bialetti stovetop espresso makers at Amazon.com . The perfect companion for your Bialetti. If you don't have a milk frother, you can still heat some milk for a wonderful coffee. 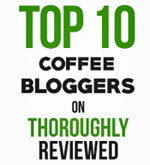 More information about espresso and espresso machines. 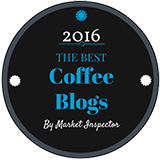 Choosing an espresso machine for your home.